Thalia approached TVI with an out of date digital presence that was not converting visitors optimally into paying customers via reservations or online ordering. 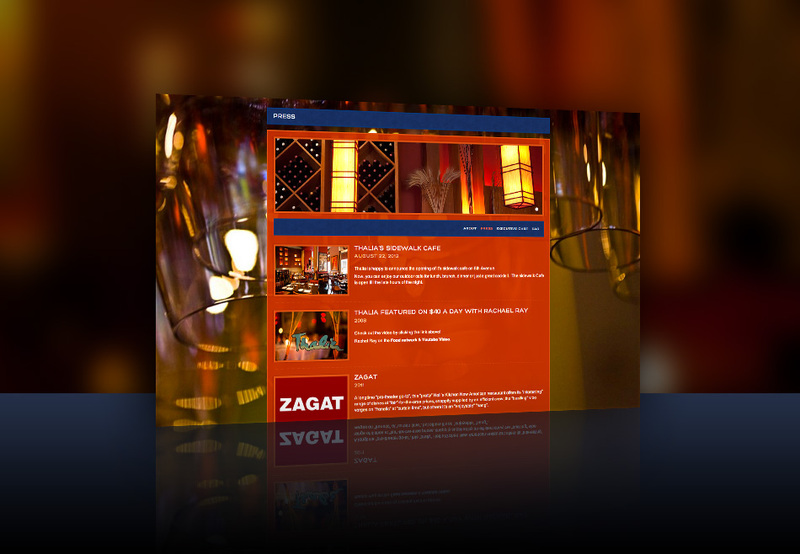 TVI’s primary goal was to reorgnize the architecture and design of the site to allow for better conversions while reducing dependance on other higher priced third party systems; while positioning the site for future search, social and email marketing. 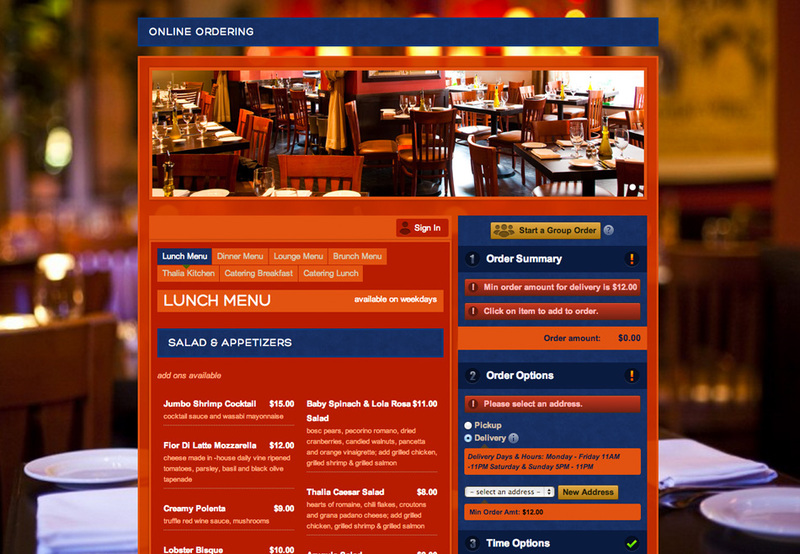 With online ordering being an important facet of any restaurant’s business these days, TVI implemented a ZupplerWorks online ordering platform on restaurantthalia.com, which is considerably cheaper than Seamless, keeps visitors on the site until they pay, and maintains the website’s design. 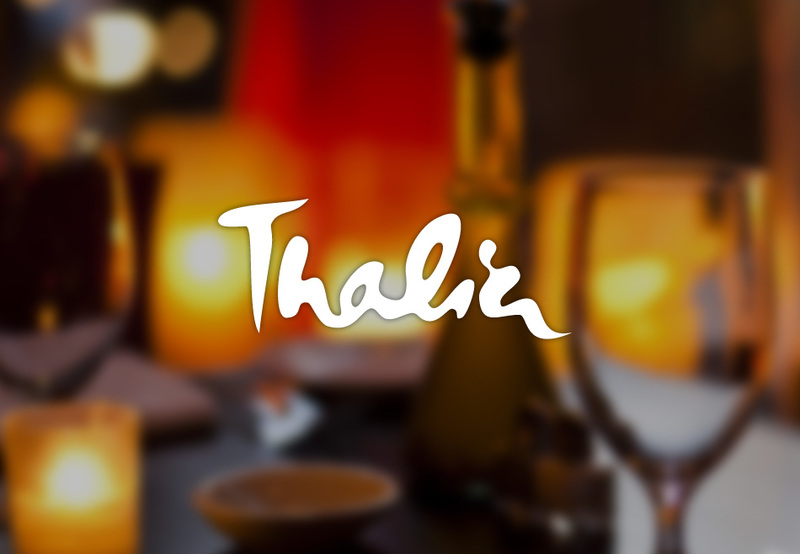 Now Thalia can begin to reduce its dependancy on Seamless.com as well as Opentable and increase their profits from online orders.